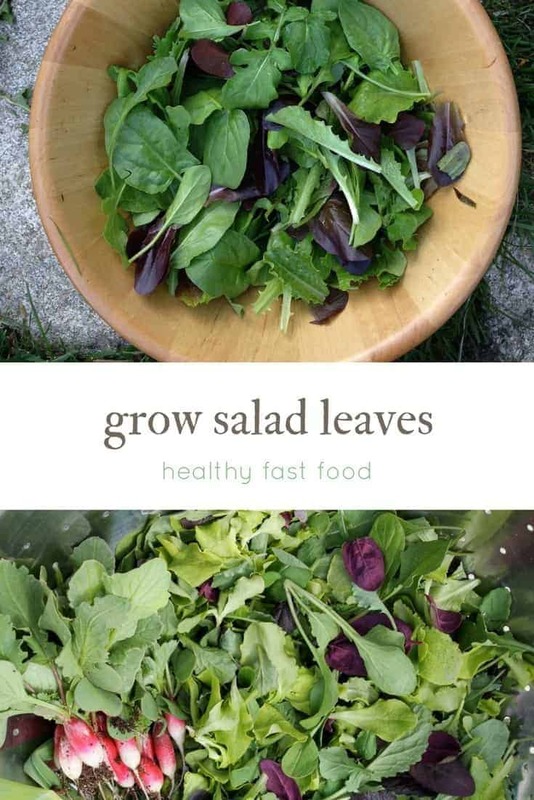 Grow Salad Leaves + Baby Greens Year-Round! 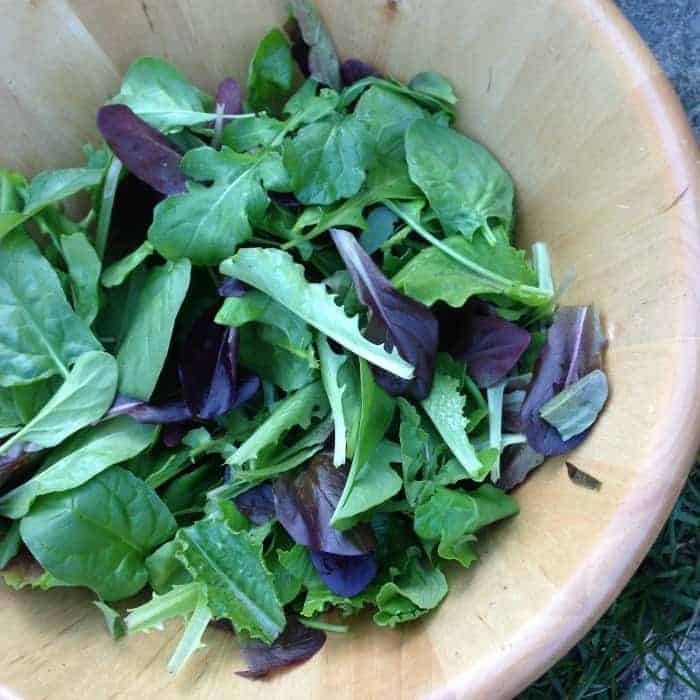 Salad leaves are super easy to grow and because baby greens are harvested at the baby leaf stage they offer amazing value for the growing space. They also grow fast and can be sown every week for succession sowing to give you extended harvests over many weeks. If you plant them late in the summer they can handle light frosts and some can overwinter to produce greens in the spring. 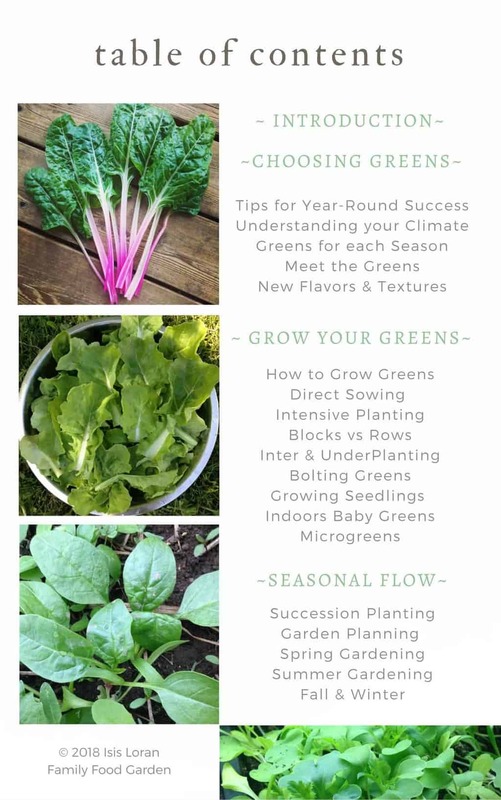 Baby greens tend to cost a lot too which make them an excellent gardening addition. Mixed greens are often sold in ‘100 grams’ and cost anywhere anywhere from $3.99- $9 per 100/g. 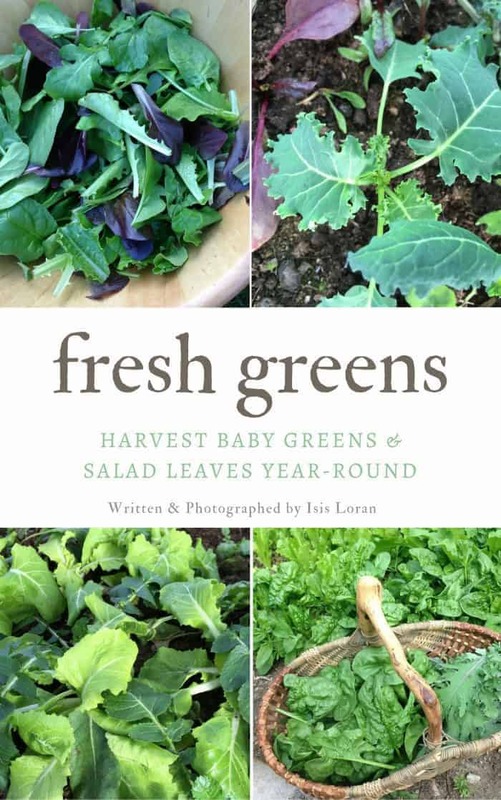 Baby greens not only offer excellent dollar value but are ready to harvest in 30 days, micro greens and sprouts within a week or two. They are perfect for growing year-round because unlike many other crops, they can be harvested at multiple life stages. 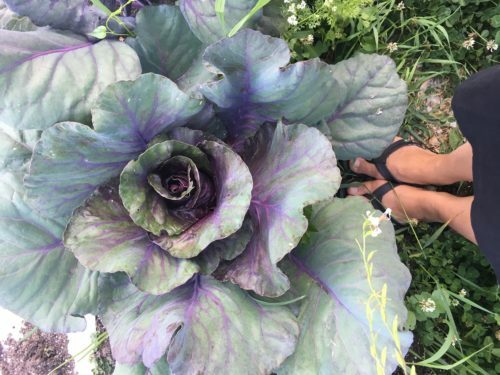 This means that even if your head lettuce or your collard greens didn’t grow to the full-sized potential, you can still harvest your leafy crops instead of wasting space. 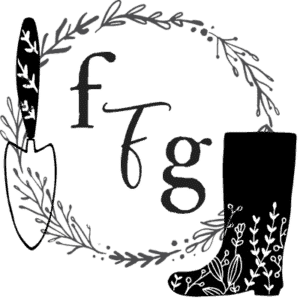 This makes a huge difference in timing because crops that take a long time to grow like root veggies or winter cabbages can be challenging for beginners venturing into year-round gardening. You’d be surprised at how many greens can be harvested in frosts and even snow! I’ve had our kale and winter cabbages unprotected down to -10C/4F. With the help of season extenders you can protect many greens down to -20C/-4F because there are many that are frost hardy and some can even withstand minor snow. This allows year-round possibility with season extenders in colder climates. For the climates that get really cold or heavy snow you can easily grow baby or microgreens inside. One of the key elements to master when growing greens year-round is succession planting. This means sowing multiple times a year for consistent frequent harvests and requires smart garden planning and good organization. Because no one wants to deal with 30 heads of lettuce or too many greens to freeze all at once. Growing greens year-round is also easier when you learn the many ways to increase yields in small spaces. This 60 pages guide is only $2.99. 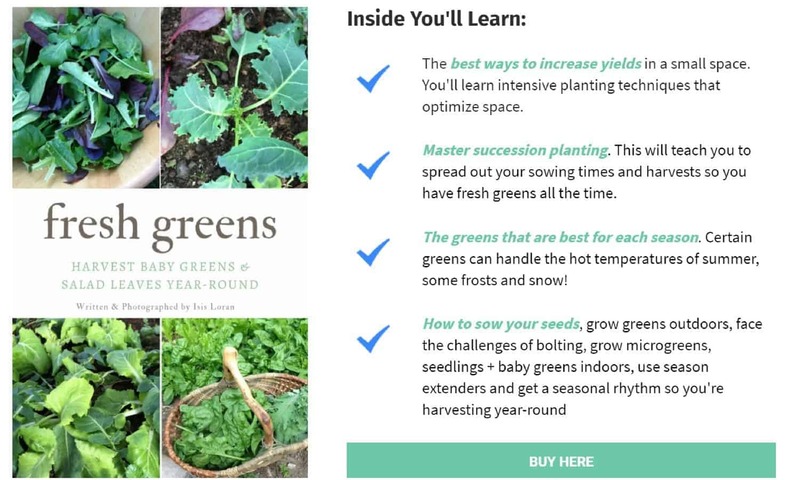 You’ll learn the seasonal flow from early spring overwintered greens, to using season extenders, growing greens in the summer heat and even into the frosts and snow of fall and winter. 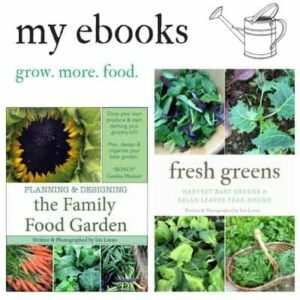 You’ll also learn how to grow lettuce and microgreens indoors.